This is a Electronics Microcontroller based project on Water Level Controller. This project measures the level of the water in a field is controlled by this equipment using microcontroller. 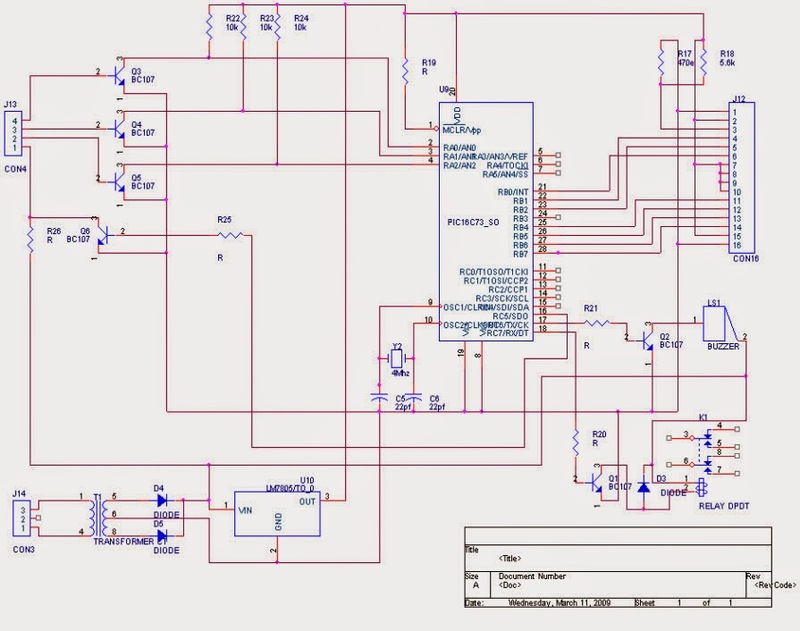 The report includes the microcontroller programming. The main components of this project are PIC microcontroller, LCD display, motor, sensor etc. The sensors sense the intensity of water and give indication to the microcontroller. You can also Subscribe to FINAL YEAR PROJECT'S by Email for more such Projects and Seminar. 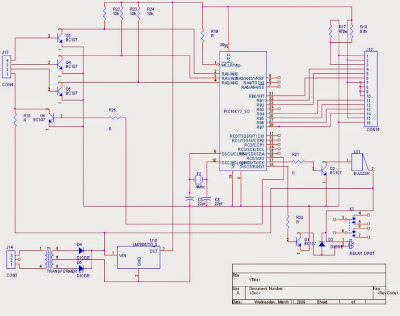 The above image shows the circuit diagram of Water level controller and report also includes block diagram of the project. The microcontroller produces the control signals to drive the motor. If there is no water then microcontroller gives control signal to start the motor and if there is sufficient water in the field then the microcontroller give control signal to stop the motor. The sensors sense the intensity of water and give indication to the microcontroller. The microcontroller produces the control signals to drive the motor. If there is no water then microcontroller gives control signal to start the motor and if there is sufficient water in the field then the microcontroller give control signal to stop the motor. The PIC microcontroller detects the signal from the sensor and then produces controls signal to the drive the motor according to the indication and enables the display. The motor is controlled by a relay mechanism. DC motor is used for this project and 16*2 LCD display is used. The present state of the motor is displayed on the display.